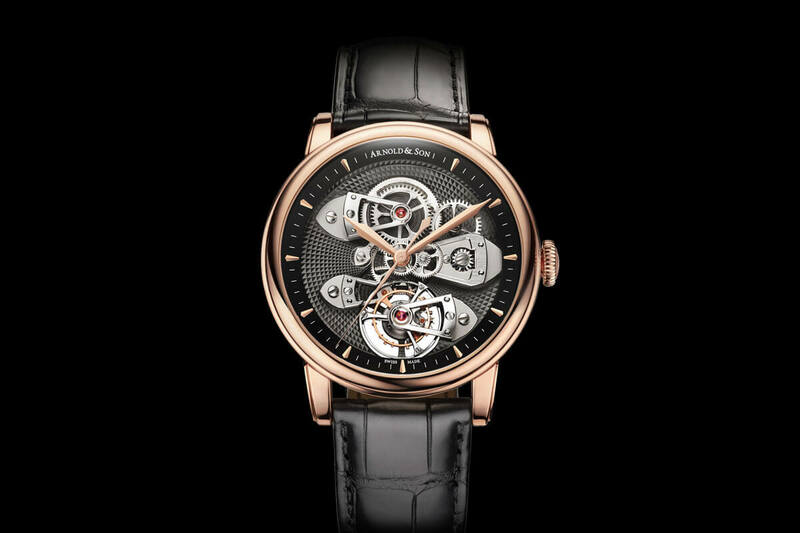 Arnold & Son is on a roll. 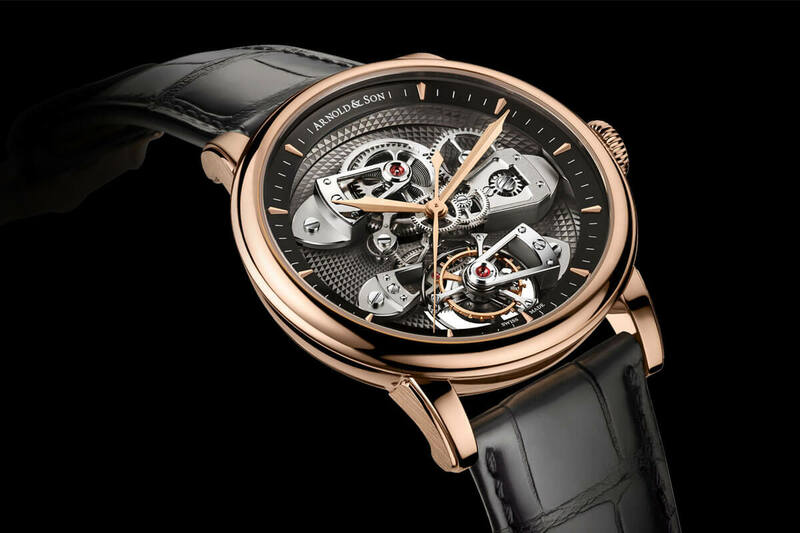 The other day they we could show you their Constant Force Tourbillon – a magnificent piece of horological achievement in precision timekeeping – and today we can show you another spectacular highlight, called the Arnold & Son TBTE Tourbillon. Not many watch brands have the prowess to introduce two timepieces with a tourbillon in one year. Let alone two tourbillon watches, each with additional complications like a True Beat (i.e. dead beat seconds) or constant force mechanism. 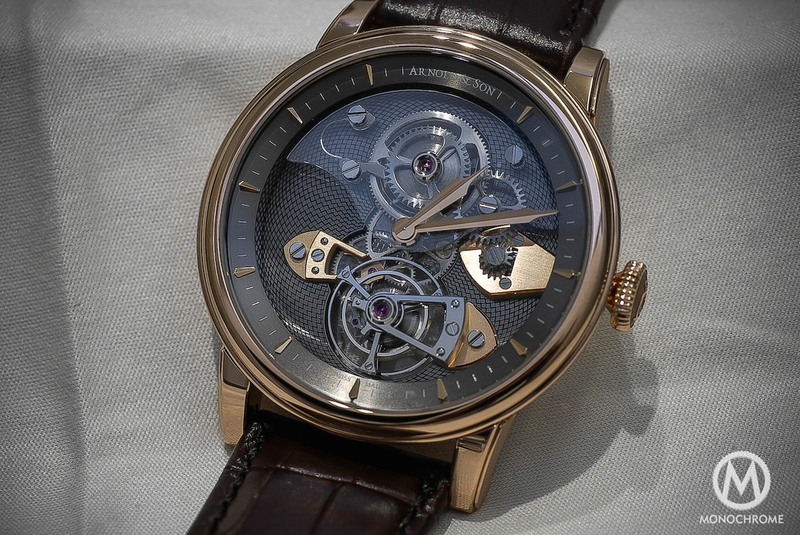 Let’s have a closer look at the Arnold & Son TBTE Tourbillon. 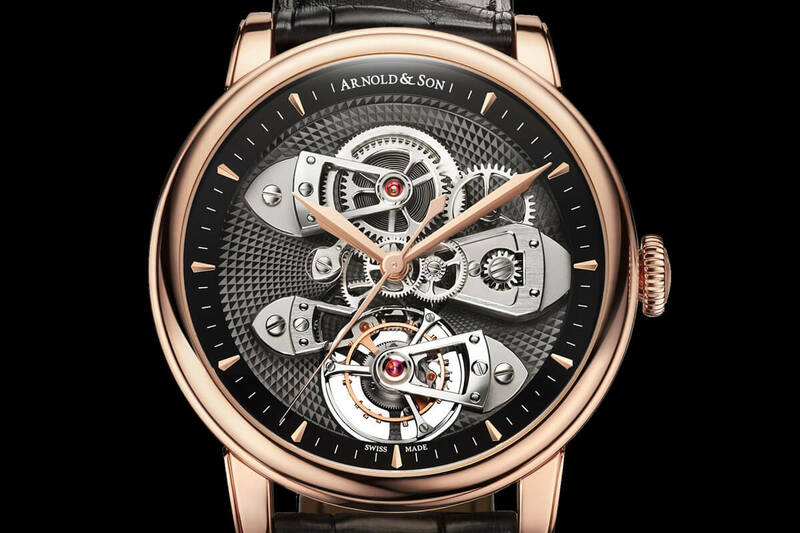 Like the Constant Force Tourbillon, and many other complicated timepieces from Arnold & Son, it offers a view that is equally technical as well as spectacular. 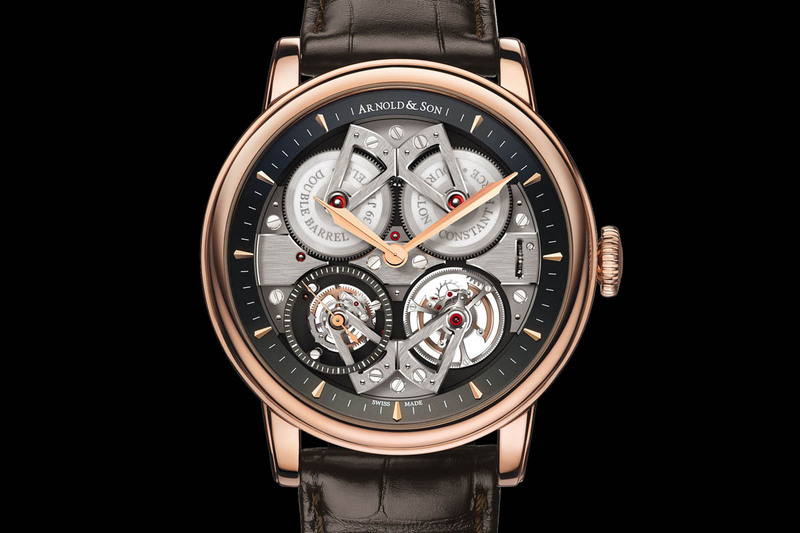 Also like may Arnold & Son timepieces, it features a dead beat second hand (seconde morte in French) or as Arnold & Son prefer to call it: True Beat, meaning the second hand ticks like quartz watch. The TBTE Tourbillon offers a vast amount of horological and styling delicacies. Take for instance the mirror-polished flange around the dial, which reflects the clou-de-Paris (hobnail) pattern and also reflects light on the side of the gears and bridges, so these get a much better visibility. We could call this an inverted movement. Usually the main plate is just underneath the dial, and on the back side several bridges hold the gears and levers in place. Here it’s the exact opposite, as the main plate now serves as back plate, while the movement parts are held in place by bridges on the dial side (although there’s no dial), similar to the Arnold & Son TES that we did a hands-on with. 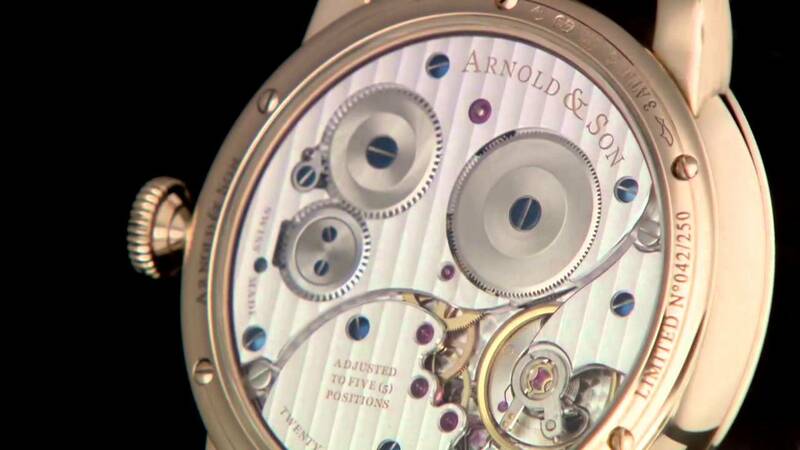 The tourbillon has played a crucial role in Arnold & Son’s history. John Arnold and A.-L. Breguet worked closely together, and shared their knowledge about mechanisms that helped improve chronometric rates of timepieces. Although A.-L. Breguet is the inventor of the tourbillon, the very first ever tourbillon was mounted in John Arnold’s No. 11 movement, a watch that can be found today in London’s British Museum. 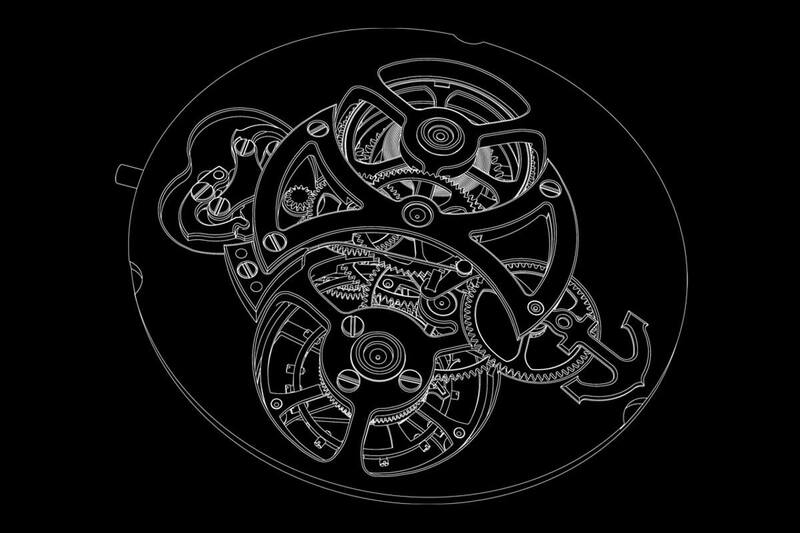 What I absolutely love about this and other Arnold & Son timepieces, is that everything is in full sight, and no parts are revealed behind a dial, or hidden between plates. 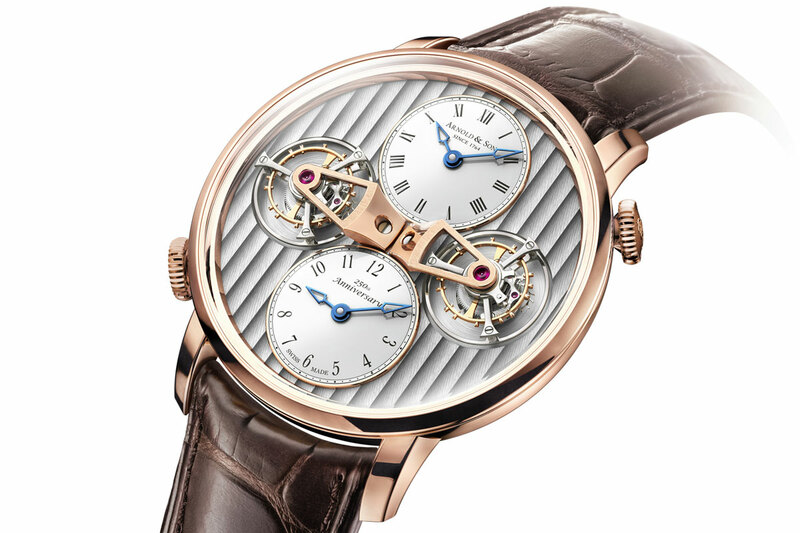 The Arnold & Son TBTE Tourbillon shows all movement parts, from the key-less works (invented in 1841 by Patek Philippe) to the open-worked main spring barrel, all gears and ultimately the regulating organ, which is a tourbillon. Everything is in full sight! Besides admiring the gorgeously finished movement parts, it also makes a perfect watchmaking course. When you don’t (fully) understand how a mechanical wrist watch works, simply buy one of the 28 pieces of this TBTE (retails for CHF 146.700) and I’m you will learn everything about a tourbillon wrist watch, just by looking at it. The TBTE (True Beat Tourbillon Escapement) not only boasts a tourbillon but also a true beat second mechanism. It’s a bit of a traditional complication for Arnold & Son, since it was used in for precision chronometers required for navigation at sea. John Arnold and his son were the first to develop marine chronometers that could be produced in quantity and at reasonable prices. These technically superior ships chronometers were widely distributed and helped to solve the problem of determining longitude at sea. As we explained in our article about the Constant Force Escapement, the True Beat second mechanism, unlike conventional mechanical watches, displays time in complete seconds rather than fractions dependent on the balance frequency, and therefore give a more precise reading. The movement, calibre A&S8503, is entirely finished and decorated by hand. It is crafted in nickel-silver (often referred to as German silver) and features hand-chamfered bridges with polished edges, hand-chamfered wheels with polished edges (which is even more demanding), clou-de-Paris engraving on the main plate, screwed gold chatons, mirror-polished tourbillon cage and bridge, screws with bevelled and mirror-polished heads, and so on. The bridges are rhodium treated and the main plate is NAC grey treated. It is fabulous watch though it is beyond the reach of ordinary watch aficionados. Enjoyed your report immensely, only wish there were some pictures, thanks! Clou de Paris. Not cloud.